Here's the most significant benefit of tankLess water heater. They've the capability of providing on-demand hot water whenever needed without any delay. You can enjoy hot water anytime in the 24 hours. So there are families with more members and all of them love to clean themselves up. Unlike the tank water heaters the tankless gas or electricity water heaters provide a constant supply of hot water so that one after the other, all family members could enjoy warm water in winter, wash dishes, do the laundry or whatever. It is available constantly dudes. Who has that space to accommodate an appliance that takes lots of space? We certainly want home comfort appliances to be as small I'm size as possible so that they do affect the home decor. While the tank water heaters take large accommodation, the Tankless Water Heaters are not just elegant in appearance but are also relatively much smaller in size than the conventional water heaters. This type can, therefore, be ideal for people living in small houses and have less space to install large appliances. While you might not be in a habit to use the tap water for drinking, there's still something to consider; how clean is your tap water? In the case of tank water heaters, a lot of sedimentary, rust and other particles keep adding in the everyday use water because the water remains stored in a tank. This does not happen in the case of Tankless Water Heaters where water is directly supplied without any storage. It takes a headache to install tank water heaters. 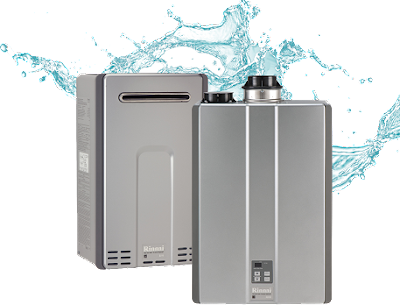 The Tankless Water Heaters, on the other hand, are easy to install and can even be installed doing a self-service. They save you in long run. High-efficiency water heaters are 80% more efficient than others. In addition to that, they help save energy by only working on demand, consequently saving energy bills too. Tankless Water Heaters have a relatively longer warranty. You've the choice of replacement or return of appliance if it doesn't suit you and is a great deal. Also, in case the appliance shows less efficiency than the proclaimed, or gets damaged within the warranty period, it can be replaced. Everything needs maintenance but keeping maintenance of some home comfort appliances is not so easy. It takes time, effort and professionalism. While tank water heaters are hard to tackle when it comes to maintenance, Tankless Water Heaters are much easier to maintain. DIY hacks can be used to clean and to do other necessary maintenance of tankless water heaters. To have a 24/7 availability of hot water or what they call, hot water for life, these water heaters are the best choice to make. I wasn’t aware about the most desirable features of tankless water heating system unless I visited Gotankless.info that provides complete details about it, so now it would be easier for me to make the right selection easily.